Photographic composite entitled 'S.A. Northern Pioneers 1850-1859'. The composite was compiled in 1908 by Mora. All of the portraits are of a later date than the 1850s decade, but many are considerably earlier than 1908. 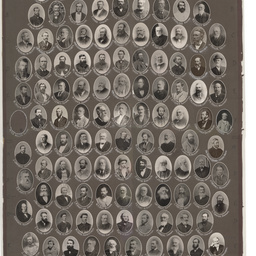 Individual copies of the portraits have also been placed on the database. 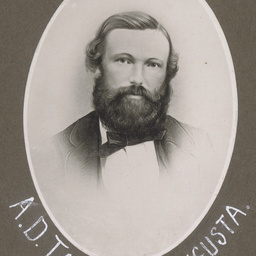 Portrait of A.D. Tassie from Port Augusta from the S.A. Northern Pioneers' composite, 1850-1859 (shown in position on B 6912/1). 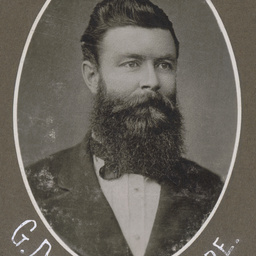 Portrait of G. Deane from Lake Hope from the S.A. Northern Pioneers' composite, 1850-1859 (shown in position on B 6912/1). 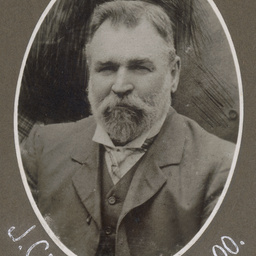 Portrait of J. Craigie from Moolooloo from the S.A. Northern Pioneers' composite, 1850-1859 (shown in position on B 6912/1). 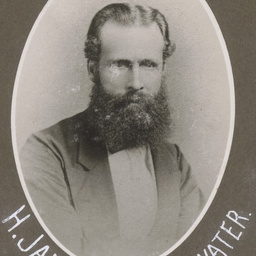 Portrait of H. James from Blanchewater from the S.A. Northern Pioneers' composite, 1850-1859 (shown in position on B 6912/1). 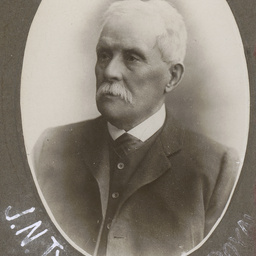 Portrait of J.N. Tyler from Princess Royal from the S.A. Northern Pioneers' composite, 1850-1859 (shown in position on B 6912/1). Portrait of N.E. 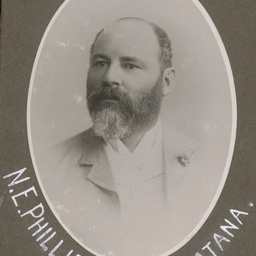 Phillipson from Umberatana from the S.A. Northern Pioneers' composite, 1850-1859 (shown in position on B 6912/2). 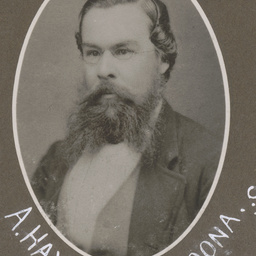 Portrait of A. Hayward from Aroona from the S.A. Northern Pioneers' composite, 1850-1859 (shown in position on B 6912/2). 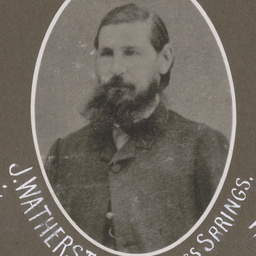 Portrait of J. Watherstone from Finniss Springs from the S.A. Northern Pioneers' composite, 1850-1859 (shown in position on B 6912/2). Portrait of W. Kingsmill from Mount Brown from the S.A. Northern Pioneers' composite, 1850-1859 (shown in position on B 6912/2). 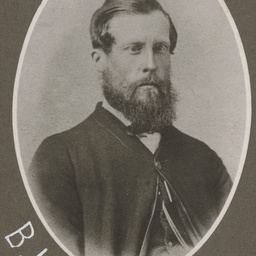 Portrait of B. Hack from Panana from the S.A. Northern Pioneers' composite, 1850-1859 (shown in position on B 6912/1). 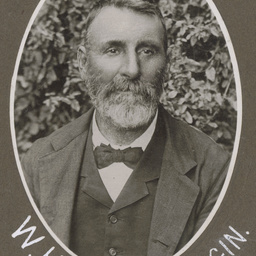 Portrait of W. Hatten from Oanagin from the S.A. Northern Pioneers' composite, 1850-1859 (shown in position on B 6912/1). 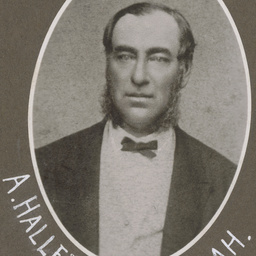 Portrait of Alfred Hallett from Wandillah from the S.A. Northern Pioneers' composite, 1850-1859 (shown in position on B 6912/1). 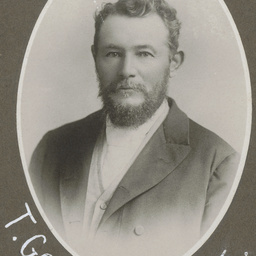 Portrait of T. Goode from Canowie from the S.A. Northern Pioneers' composite, 1850-1859 (shown in position on B 6912/1). 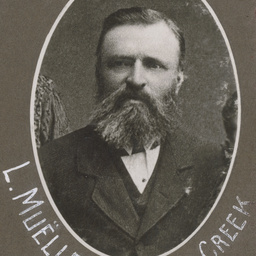 Portrait of L. Mueller from Stuart's Creek from the S.A. Northern Pioneers' composite, 1850-1859 (shown in position on B 6912/1). 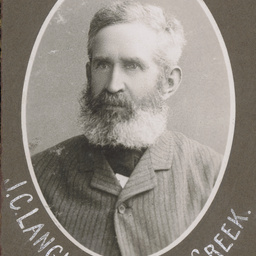 Portrait of J.C. Langley from Stuart's Creek from the S.A. Northern Pioneers' composite, 1850-1859 (shown in position on B 6912/2). 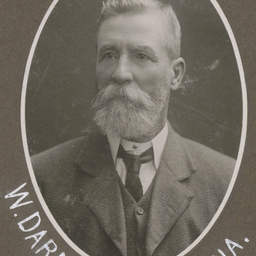 Portrait of W. Darmody from Nelpena from the S.A. Northern Pioneers' composite, 1850-1859 (shown in position on B 6912/2). 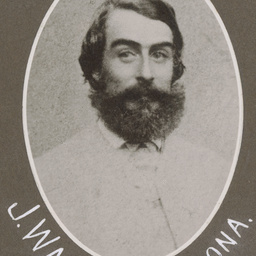 Portrait of J. Warland from Aroona from the S.A. Northern Pioneers' composite, 1850-1859 (shown in position on B 6912/2). 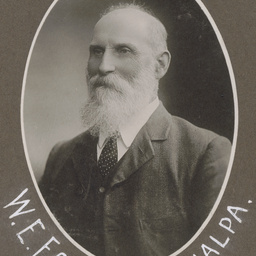 Portrait of W.E. Escott from Wirrealpa from the S.A. Northern Pioneers' composite, 1850-1859 (shown in position on B 6912/2). 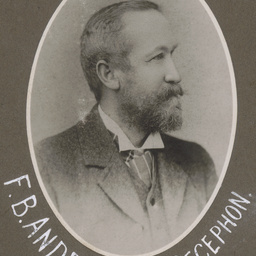 Portrait of F.B. Andrews from Mount Decephon from the S.A. Northern Pioneers' composite, 1850-1859 (shown in position on B 6912/1). 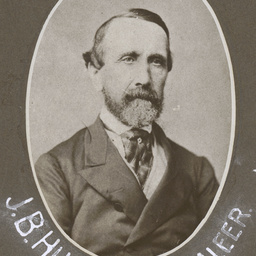 Portrait of J.B. Hughes from Bundaleer from the S.A. Northern Pioneers' composite, 1850-1859 (shown in position on B 6912/1). 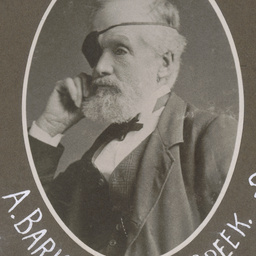 Portrait of A. Barker from Stuart's Creek from the S.A. Northern Pioneers' composite, 1850-1859 (shown in position on B 6912/1). 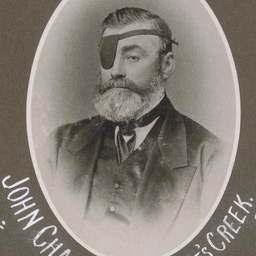 Portrait of John Chambers from Stuart's Creek from the S.A. Northern Pioneers' composite, 1850-1859 (shown in position on B 6912/1). 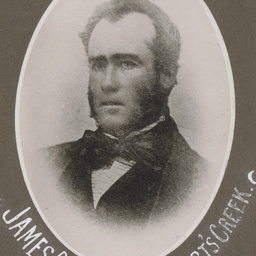 Portrait of James Chambers from Stuart's Creek from the S.A. Northern Pioneers' composite, 1850-1859 (shown in position on B 6912/1). 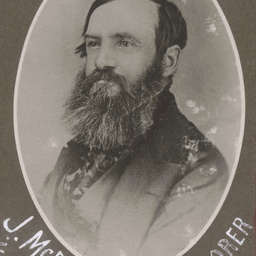 Portrait of John McDouall Stuart, explorer, from the S.A. Northern Pioneers' composite, 1850-1859 (shown in position on B 6912/1). 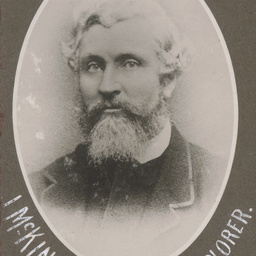 Portrait of John McKinlay, from Oanagin, and explorer, from the S.A. Northern Pioneers' composite, 1850-1859 (shown in position on B 6912/2). 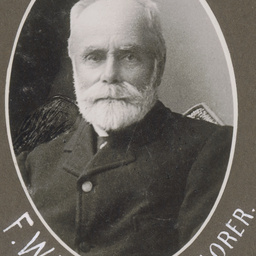 Portrait of F.W. Thring, explorer, from the S.A. Northern Pioneers' composite, 1850-1859 (shown in position on B 6912/2). 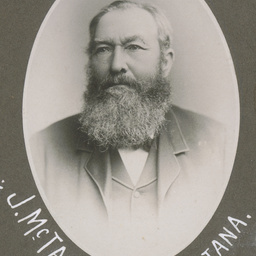 Portrait of J. McTaggart from Wooltana from the S.A. Northern Pioneers' composite, 1850-1859 (shown in position on B 6912/2). 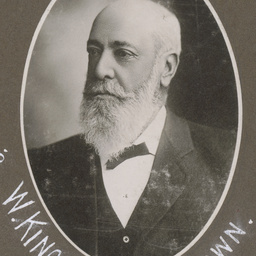 Portrait of H.B. 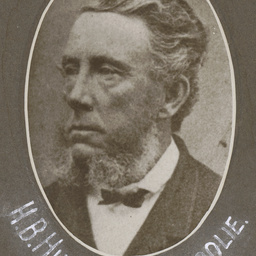 Hughes from Booyoolie from the S.A. Northern Pioneers' composite, 1850-1859 (shown in position on B 6912/2). 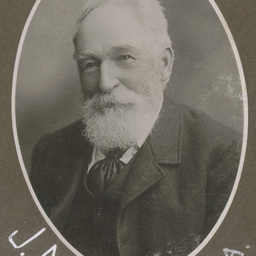 Portrait of J. Maslin from Saltia from the S.A. Northern Pioneers' composite, 1850-1859 (shown in position on B 6912/2).